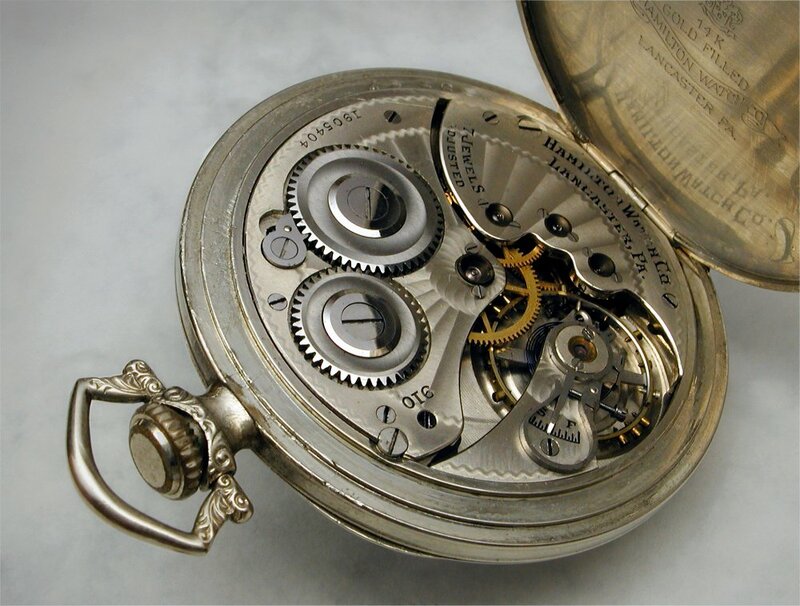 The Grade 910 was one of Hamiltons's earlier 12 size movements designed for "gentleman's" size pocket watches, produced from 1914 to around 1923. These pieces are smallish (around 45mm) and slim, pefect for unobtrusive carry. 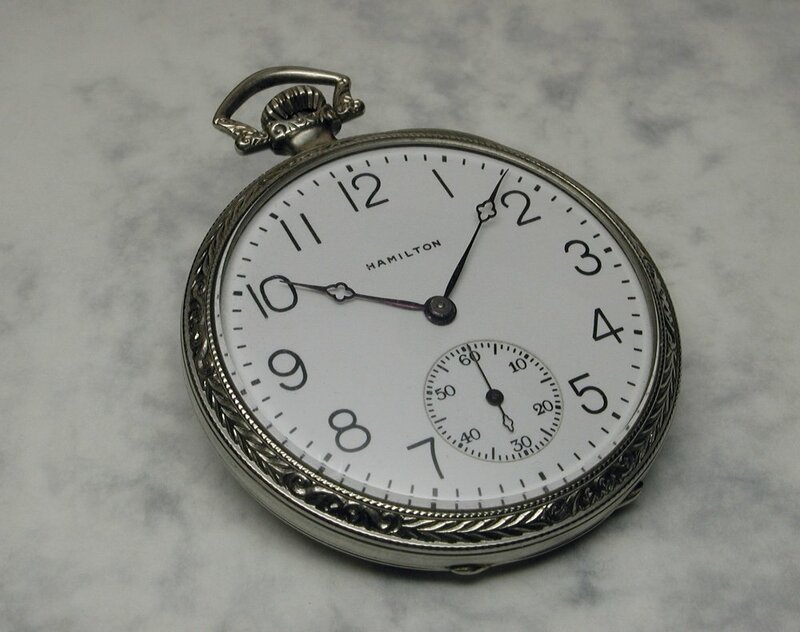 Pictured below is a nice 1923 example Grade 910 watch owned by Rob B. In photographing it I particularly wanted to capture the very nice damascening Hamilton applied to this grade of movement. The case is in green gold fill and the metal dial also has a distinct green hue to it. 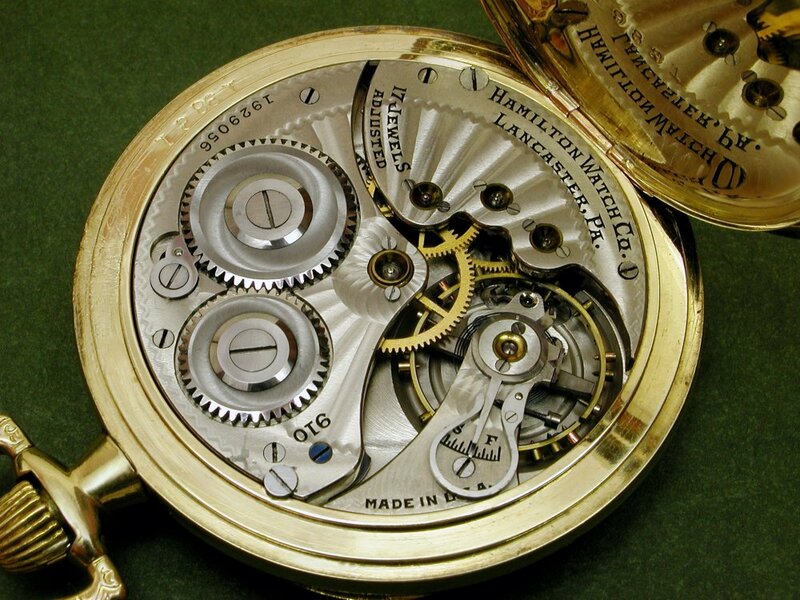 The 910s came in a fairly wide variety of case and dial styles. 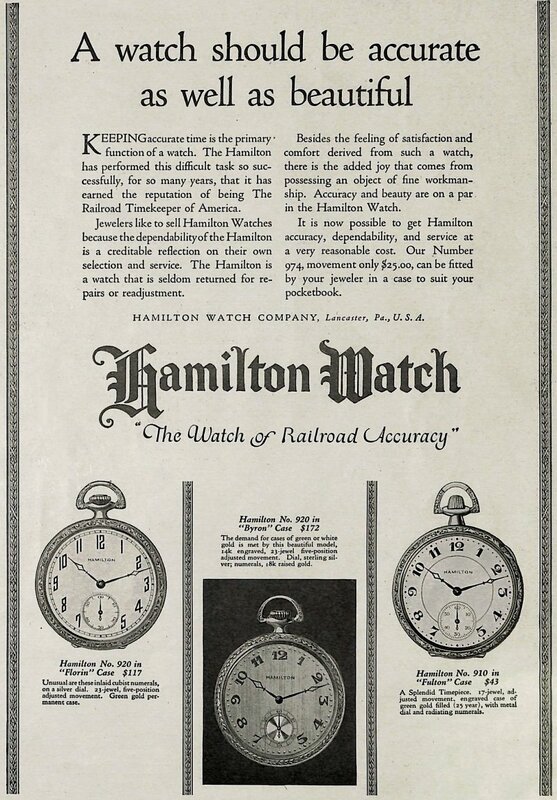 The 1923 Hamilton ad from "The American Magazine" below shows a very similar watch to the bottom right. It identifies the case style as the "Fulton" with a distinctive arched bow and mushroom-shaped crown. The case here is also described as green gold fill and the dial and hands are identical apart from the lack of the inner embossed ring on the dial. 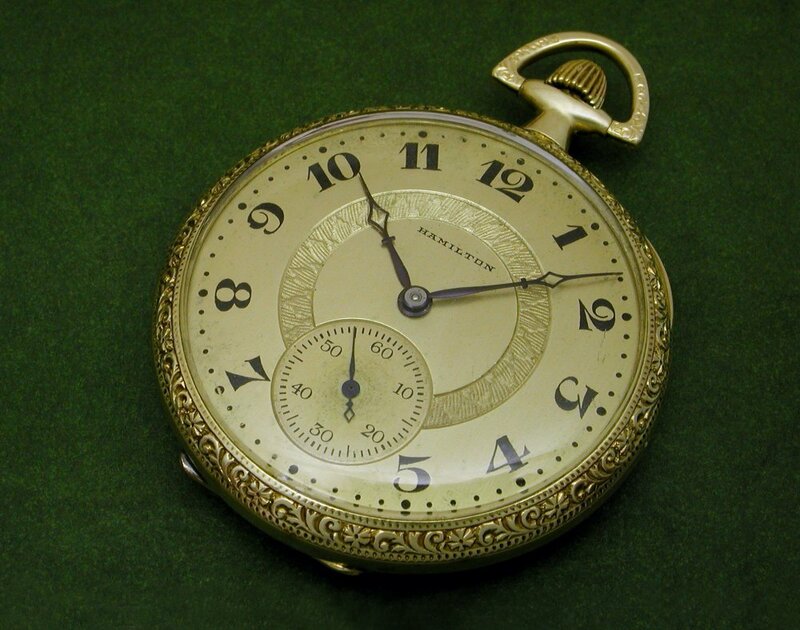 Here's my own example of a Grade 910 watch, this one is from 1921 in a white gold filled case with a porcelain dial. Next Topic: What's everyone wearing for Monday?